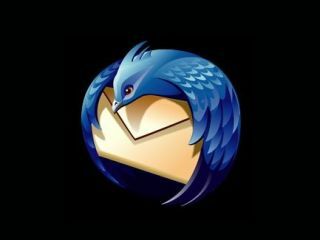 Code from an open source email extension created and designed by the French military is being used to power Thunderbird 3, Mozilla's brand new open source email client. According to Reuters, two years ago France's Gendarmerie Nationale police, then part of the military, discovered that Mozilla's open source design let it build its own security extensions, something that wasn't possible with Microsoft's proprietary software. Having been charged by the government to seek both security and commercial independence, they were eager to pursue this opportunity, and began working with open source email. The police released some of the work it developed to the public as TrustedBird, co-branding it with Mozilla. Now the French military uses Thunderbird for email and has the TrustedBird extension on 80,000 computers throughout a number of government ministries, in spite of some initial resistance against moving away from companies that could offer full technical support. TrustedBird has also supplied some of the code for Thunderbird 3. David Ascher, Chief Executive of Mozilla Messaging, told the news agency: "The primary changes (the military) have made allow them to know for sure when messages have been read, which is critical in a command-and-control organisation." The French military has also shown TrustedBird to NATO. Given its success so far, it's perhaps no surprise that the French government is expanding its interest in open source, ditching Office for Open Office, and migrating from Windows to Linux.